A good bedtime story sets the atmosphere for children right before they fall asleep. Bedtime stories can be invented by anyone or told from a book. Telling a bedtime story from a book has a lot of advantages including the carefully crafted words to make for a soothing mood accompanied by a series of illustrated spreads that are enough to help adults and children alike imagine the scenes in their head. Steam Train, Dream Train is one of the most read children’s book that would give your child a happy and relaxing sleep. Telling your child a bedtime story is an enjoyable activity for both you and the young one. The experience endears the child to you and will look forward to being read a bedtime story every night. 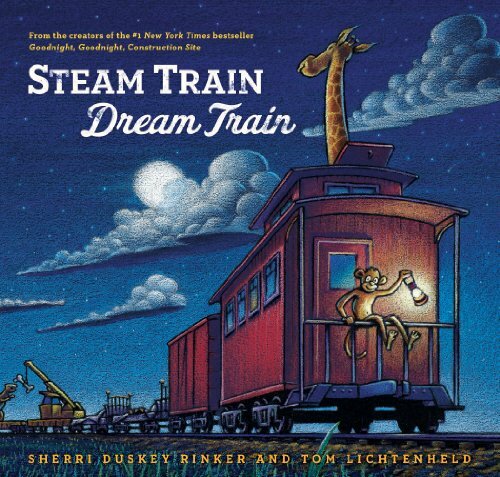 One of the better bedtime story books you should read to your child is Steam Train, Dream Train. From the team behind the #1 New York Times bestseller Goodnight, Goodnight Construction Site this new bedtime book is primed to be more enticing. Meticulously illustrated, every spread of Steam Train, Dream Train will take you through the adventures of an animal crew while they load train cars with balls, race cars and ice cream. Perfect for reading aloud thanks to its calming and light rhythm. Preschoolers will feel relaxed through the night as they drift off to dream their own train adventures. A truly wonderful book for kids, parents will find themselves reading this sweet and silly tale. Steam Train, Dream Train starts off at the station as it loads the train cars one by one with the help of hopping kangaroos stuffing the car with balls, tender elephants filling up the tanker cars with paint, polar bears packing the reefer car with wintry ice cream as the timid tortoises feel the need for speed while stocking the race cars in the auto track. Your young ones will surely be enticed by the hissing clouds of steam from the smokestack while the brakes squeal at the Night Falls station. They’ll be introduced to the colorful and endearing animal crew who are more than willing to get to work loading the cars with their cargo. When all the work is done, follow the crew as they bed down on the flatbed car and fire up the steam engine taking them to the dreamland. Illustrated with an apt attention to detail, the spreads in wax oil pastel will surely wow both kids and adults alike. From the ever-expanding night sky filled with shining stars, fluffy clouds and the image of an oncoming train venturing off through the realistic representation of the landscape, the cute and plush animal crew will captivate children’s attention. The rhyming text, awesome artwork and a story that’s enough to encapsulate itself into the imaginative minds of children, this book will surely be a good read to put minds to ease when it’s time to take a slumber at night. Even the final spread of the book explains that the entire exploit was a dream. The adventure during the quiet nighttime was told through the imaginations of a young aspiring train conductor in the bedroom. After a fun, yet tiring day, Steam Train, Dream Train is perfect for creating an atmosphere of repose, relaxation and peacefulness in the bedroom during the nighttime. Excellent when children have to unwind, put their minds and body at ease and slow things down for a good night’s sleep. Steam Train, Dream Train starts off ambitiously which sets the tone for the entire adventure. While some of the text feel lackluster in the middle, it caps off with a satisfying conclusion. Kids will probably be left dreaming of their own adventures as a train conductor before they even get to the end. The effective usage of soothing words are enough for preschoolers to sleep easy for the rest of the night. Creative usage of the color palette makes it easy for tiring eyes to look at. The pictures of the cute animal crew working together under the subtle illumination of the night skies captures the feeling that you get when you turn off the bedroom lights and pull the sheets up. The effective use of different cool colors makes Steam Train, Dream Train an exciting book to read, but calming enough to help children fall asleep. Adults will be reminded of the older classic books their own guardians read them when they were young. The elegant art style of the happy and excited animal crew is fun to look at. The pacing is well done leaving just enough space in between scenes for the creative and imaginative young minds of developing children. If children are still awake after being read the book, talking about the adorable animal crew with them will help them recap the adventure they went through. Kids will be able to compare themselves to the sleeping boy at the end with his train toy set just at the floor below his bed, thinking of what they’ll dream once they finally close their eyes.. Always remember that reading your child a bedtime story not only helps them ease their minds to sleep, but also develops their mental capacity and helps them be more imaginative. The activity also helps create a special emotional bond between you, the storyteller, and the child, the listener. Steam Train, Dream Train is the right book for children who aspire to be train conductors, love animals and have a good sense of humor. The feel-good adventures that bring you through the dreamlands and back to the bedroom is the perfect companion for a resting young one. 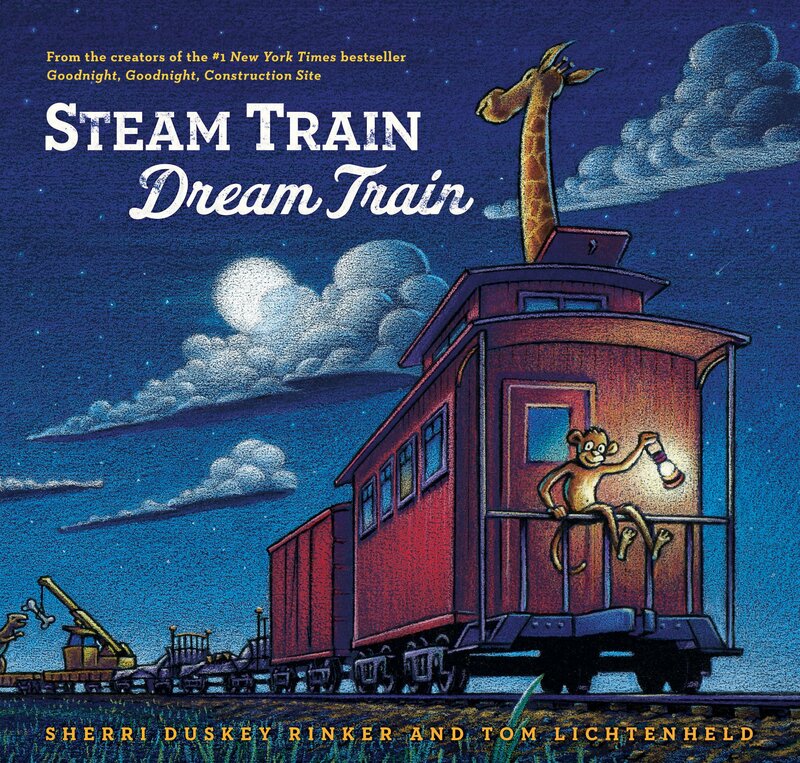 Other bedtime stories that go well with the theme of Steam Train, Dream Train includes Goodnight, Goodnight, Construction Site, Where Do Diggers Sleep at Night? and Where Do Steam Trains Sleep at Night?. A fun activity that’s directly related to the book is the Steam Train, Dream Train Puzzle that can provide entertainment regardless of the time of day. With an affordable price range of $5~$6 on Kindle and $9~$11 on hardcover, this affordable bedtime story book is a quality addition to your collection of nighttime activities. The hardcover features a well drawn artwork of a train venturing off under the starry night skies.